Canes have an extra reason to tune in to Peter Pan Live!, airing 8 p.m. on NBC on Dec. 4. Alanna Saunders, a 2014 graduate of the UM College of Arts & Sciences Department of Theatre Arts, will be playing the role of Tiger Lily – Peter Pan’s loyal friend and the daughter of Neverland’s Native Chief. While at the university, Saunders played major roles in “Metamorphoses” (Myrrha) and “Floyd Collins” (Nellie Collins). 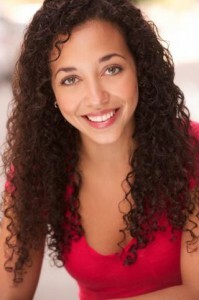 This summer she also performed in “Gypsy” (June) and “A Chorus Line” (Diana Morales) with the Connecticut Repertory Theatre. Read more from the College of Arts and Sciences News.